Stacy Aguilera is an Abess Fellow at the University of Miami. Her dissertation research focuses on why certain small-scale fisheries in California are relatively successful, from a social and ecological perspective. Follow her on Twitter here! As my favorite little green guy once said, “Difficult to see. Always in motion is the future.” Yoda may have never shared some brewskies after work with a bunch of fishery managers, but boy would they cheers to this. Managing fisheries is a tough job, especially considering all the many factors that can quickly and drastically change a fishery. We’ve got markets bouncing here and there, climate varying in short blurps and over a long time, technology is getting better, and new regulations are proposed and passed all the time. You have to think about all the people involved while also thinking about the species and broader ecosystem as a whole. All these things happening at once means fishery managers, and especially fishermen, processors, and buyers, are dealing with an uncertain future and while some things are predictable, the future is indeed difficult to see. So how do we manage and fish to keep our fishing industry alive, while also keeping our oceans healthy and full of life? One way is to manage for flexibility. As our recent paper published this March in PLoS ONE explains, managing fisheries adaptively is difficult, but allowing participants to fish multiple fisheries is a strategy that can help. When fishery participants can access many fisheries, they can then support themselves and the local fishery in difficult years, tapping in to multiple resources. This in turn also helps the environment, as shifting fishing effort from one species that isn’t doing so well relieves pressure when fishing then targets another species that may be doing much better at that time. But “Of Course” you might say, “Of course we should adapt” and “Flexibility has always been a good thing.” Yes, of course indeed. Most traditional fisheries do compose of a diverse portfolio; they do target multiple species. Many fisheries have always shifted among species for different reasons, whether it is climate related, because new policies were adopted, or just because some fish are more available at certain times of the year. But like I said before, managing fisheries is tough, and a recent trend in fisheries policy is the implementation of limited access privilege programs or LAPPs. The one you might have heard of the most is catch shares. While shown to be successful in some cases, in others, such LAPPs lead to inequitable outcomes. Some are considered to be taken over by “Wall-Streeters” or outsiders who buy their way into the fishery, dominate it, and displace the local community. While unintended, consequences from LAPPs include jeopardizing fishermen’s safety, decreasing innovation and debate within the fishery, compromising community equity, shrinking generational recruitment, and weakening conservation efforts. So, as my yoga instructor Katie says, “blessed are the flexible for they shall not be bent out of shape.” Let us embrace the natural flexibility many of these fishery systems embody, and encourage flexibility where we can. Let us not lock ourselves in, let us not get bent out of shape, but let us give fishery participants the capacity to adapt. Let us learn from fisheries we can consider to be relatively successful, and try our best to understand when and why fisheries shift. 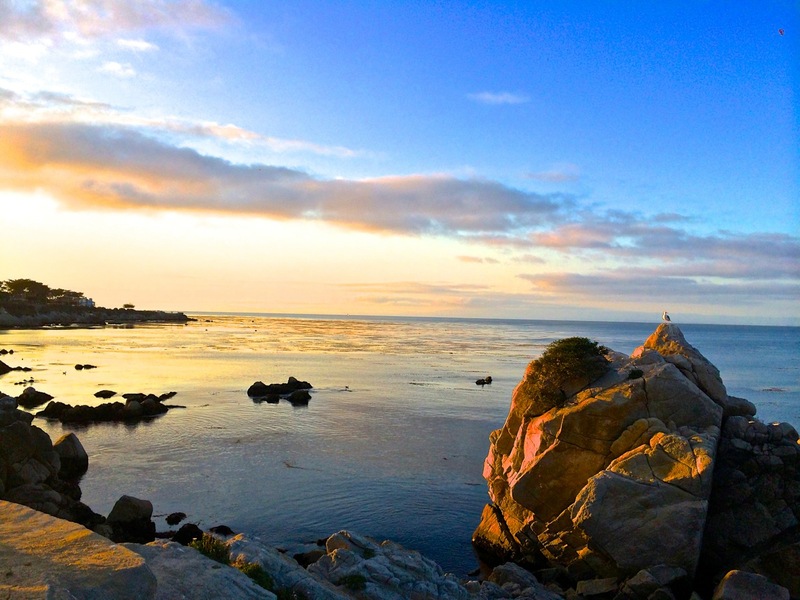 Zoom in to Monterey Bay, California. Here we have three fisheries; the northern anchovy, market squid, and Pacific sardine. In the PLoS ONE paper, we looked at the entire social-ecological system of these three fisheries to understand when and why fishery participants used the flexibility in their system to access different fisheries. The sardine fishery did collapse in the middle of the twentieth century. There was a shift in the climate (the Pacific Decadal Oscillation shifted from a warm to a cool phase, and sardine tend to prefer warmer temperatures), but also, the overfishing rates were unprecedented and the bay couldn’t take that pressure. What our study looks at is what happened in the wake of that collapse. Well really, what happened since Congress passed the Magnuson Stevens Fishery Conservation and Management Act in 1976 to promote the American fishing industry. The anchovy fishery was never all that popular with low prices and a smaller market, but with the sardine gone, the fishermen and processors that remained in Monterey Bay were more than prepared to target this fishery. Later on, people started to eat squid. Calamari became a cool thing to eat, and then China became involved. The Chinese market for squid boomed and the fishery has never been the same since. Sardine gradually returned to the Bay’s waters, and now we have three fisheries that are largely similar and are, how I like to call them, interlinked. We’ve got the same folks involved in all three fisheries, both on the water and on land, with the same fishermen, crew, vessels, buyers, and shoreside receivers and processors. Note that many of these guys are the sons, nephews, grandsons, and grandnephews of the original famous Monterey sardine fleet illustrated in Cannery Row. It is relatively easy to shift effort among these three fisheries, since the fishermen use similar fishing gear, methods, and fishing strategies. Fishing activity for all three fisheries is within 3 miles of the California coast, and they are all day fisheries (where the guys go out and come in to land their catch that same day). 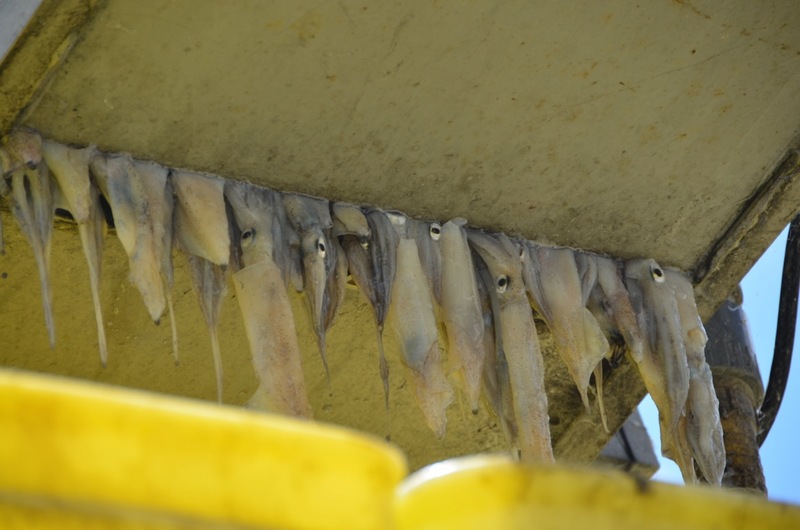 Anchovy and sardine are primarily caught in the fall, while squid is more traditionally a summer fishery. While these characteristics contribute to this flexible interlinked structure here, one of the most important features is that most fishermen have both a federal coastal pelagic species (CPS) permit (for sardine and anchovy) and a state market squid limited entry permit. This means the governance system gives them the ability to participate in all three fisheries. Our study looks at many different social and ecological variables through time to parse out what has been happening in these fisheries, and why fishery participants target one species in some years, and switch to another in other years. Looking at a suite of variables, market and climate factors played the biggest role in determining what fishery was targeted in a given year. However, what was happening in the governing of the fishery determined the long-term outcomes of the fishery. What this boils down to is that these interlinked fisheries are dependent on the flexibility to switch among three species. This dependency is not because of one factor, but because the climate, markets, and governance are all shifting the fisheries, and as conditions shift, the fishermen and processors do so accordingly. So, as my little green friend Yoda says, “Always pass on what you have learned.” The management structure for these fisheries allow for flexibility and this flexibility allows for the persistence of one of the most significant fisheries in California. Therefore, let us encourage flexible interlinked fishery systems when creating new fishery policies and regulations. Science Flyers: My comment to the FAA regarding proposed new drone regulations.